A 65-year-old Maryland man has been found guilty - again - of the 1972 murder of his wife, Diana, according to Prince George’s County officials. James Bonnett was originally convicted in 1972, but became one of 200 prisoners granted the opportunity for a new trial as a result of a 2012 Maryland Court of Appeals case. 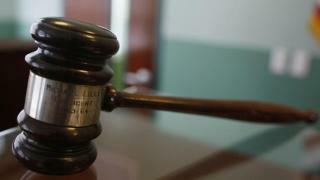 The Maryland Court of Appeals found it unconstitutional that before 1980, Maryland judges told jurors that it was the jurors who were the judge of the law, and that the judge’s instructions were advisory only, according to The Baltimore Sun. The appeals court decision gave those convicted in the 1970s a second chance at trial. Bonnett’s case was the first so-called "Unger" case to go to trial in Maryland, chosen because of Bonnett’s lack of remorse for the murder and poor institutional record. On June 21, 1972, Bonnett shot his wife in the chest in her parent's home in Capitol Heights, just a day after she had gotten a protective order against him. Prosecutors referenced the transcript from Bonnett's original trial in which Bonnett expressed no remorse for the killing, which was still the case in this trial. Bonnett faces a maximum sentence of life in prison for first degree murder and use of a handgun in the commission of a crime of violence.